PTCL introduces Pakistan’s first 3G tablet which supports PTCL Evo on the 64th Independence Day (14 August 2011). 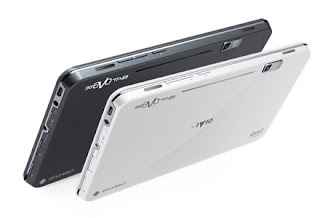 "EVO Tab" is a 7 inch tablet device with built-in EVO service to offer wireless broadband internet on the go. This is after the launch of Ufone Futura (which has GSM voice and EVO Broadband). "Power of touch inspired by Freedom" EVO Tablet is a touch screen, Android Froyo powered device at a price of Rs. 27,999 with three months of free unlimited internet. It is a best solution for those who require high speed internet while on the go. PTCL’s EVO Tab also supports GSM network and you can use cellular Sim and use it as your phone to make voice calls. Evo Tab is available in two different colors i.e. Grey Stone & Ivory White. 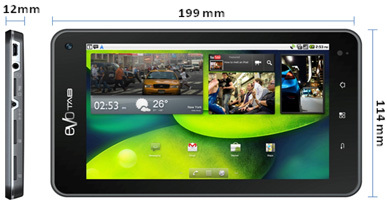 This tablet is manufactures by IVIO China. 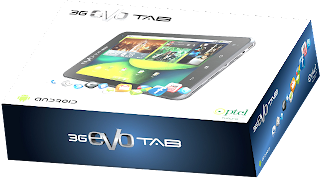 PTCL Evo Tab comes with 1 Year after sales & service warranty. Please refer to limited warranty statement on Warranty Card placed inside the box for complete terms & conditions.